Jeanne D’Arc was a heroine. Heroine in armour. This fabric reminds me of armour. But an armour for the 21st century. 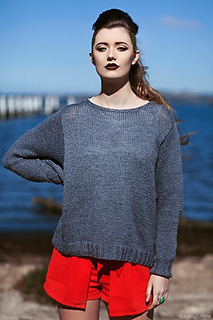 This cropped boxy asymetric sweater is knitted up quickly and the drapy fabric makes it flattering for everybody. The back is shaped using short rows to achive a longer back. 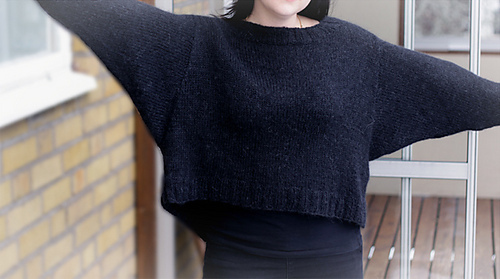 The pattern contains 5 sizes (XS-XL) but since the sweater is oversized (+10” ease) the pattern will fit most sizes. 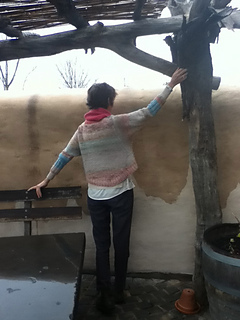 The sample is knitted in size M.